Jonas McAnn is a weary pastor without a congregation, trapped in a dead-end insurance job. Granby Presbyterian is a weary congregation without a pastor, overwhelmed by the prospect of finding someone who actually wants to be a pastor—not a manager, coach, or CEO. When Granby’s pastoral search committee and Jonas connect through handwritten letters passed back and forth, something sparks between them—something so real and refreshing that even after Jonas and his family move to Granby, he continues the regular practice of writing letters to his congregation. Spanning seven years of his ministry at Granby Presbyterian, Jonas’s letters ruminate on everything from fly-fishing to the Nicene Creed. They reveal the earthy spirituality woven into the joys and sorrows of the people of Granby, the community of the church, and Jonas’s own unfolding story. Readers will discover what it means for a pastor and a church to do the slow work of ministry in community—anchored by a common place and buoyed by a life of faith that is meaningful, rooted, and true. 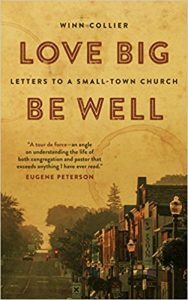 Love Big Be Well is a beautiful little book full of letters from a pastor named Jonas to his congregation. Can I keep it real with you? This book was so realistic I actually thought it was nonfiction. Winn Collier writing is full of wisdom. The book makes you ponder the simple truths of life. Love Big Be Well touches on living as a Christian, but not in a preachy or in your face kind of way. 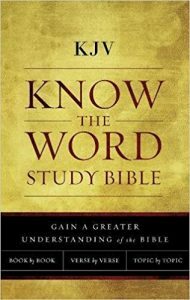 My favorite chapter is Conviction. I actually went to look it up a book title mentioned in this chapter on Amazon, but it does not exist. I hope Winn Collier considers writing “Dirt and Thunder.” Trust me, once you read this book, you will know what I mean and will want him to write it, too. I honestly enjoyed Love Big Be Well, it had many gems to ruminate on. I look forward to reading more by this author. If you want to read a book that makes you slow down and see life differently, I highly recommend you read this book. Winn Collier is a pastor, columnist, and author of several books, including Holy Curiosity. With his wife, Miska, a spiritual director, and two sons, Collier lives in Virginia, where he serves the good people of All Souls Charlottesville. Collier holds a PhD from the University of Virginia, focused on the intersection of religion and literary fiction.